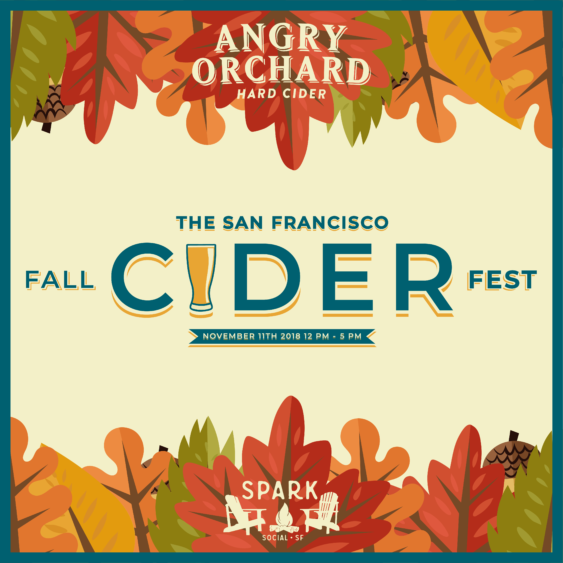 Slip on your softest sweater, snuggle into your favorite scarf, and drink in the crispness of autumn at The San Francisco Fall Cider Festival. Grab a glass and sip your way through unlimited pours of 30+ juicy apple, sweet honey-sage, spicy ginger, sour blood orange, and tropical hibiscus ciders. Then savor all your fall favorites from the food trucks, with specials including thanksgiving sandos, apple pie empandadas, carmel-apple popcorn, chai cream puffs, and gourmet pumpkin-spice cookie dough. Keep toasty with corn hole and live music from The Rob Bayne Band. Or cozy up to a fire pit to roast a few gourmet fall-spiced marshmallows.